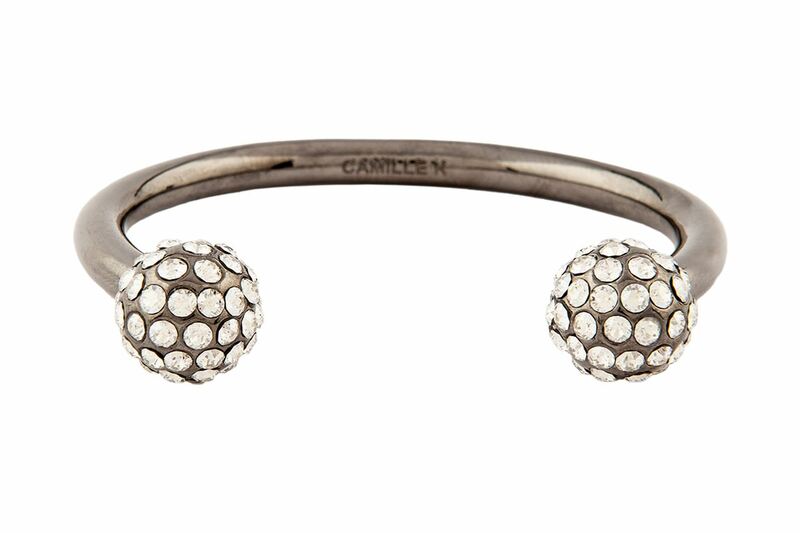 The Signature Pave Perle Cuff is embellished with select clear Swarovski crystals. 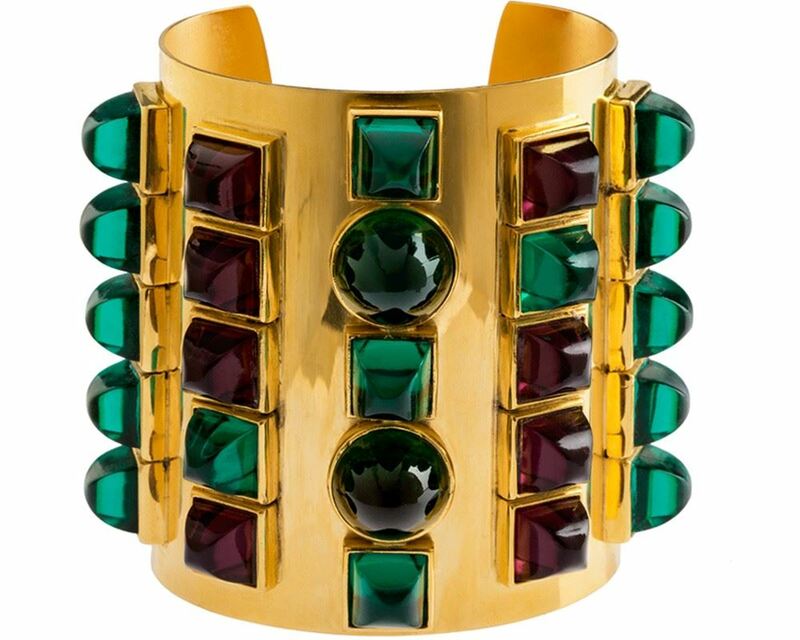 Wear this multi gem bracelet for women to add the perfect amount of sparkle to your wrist party! 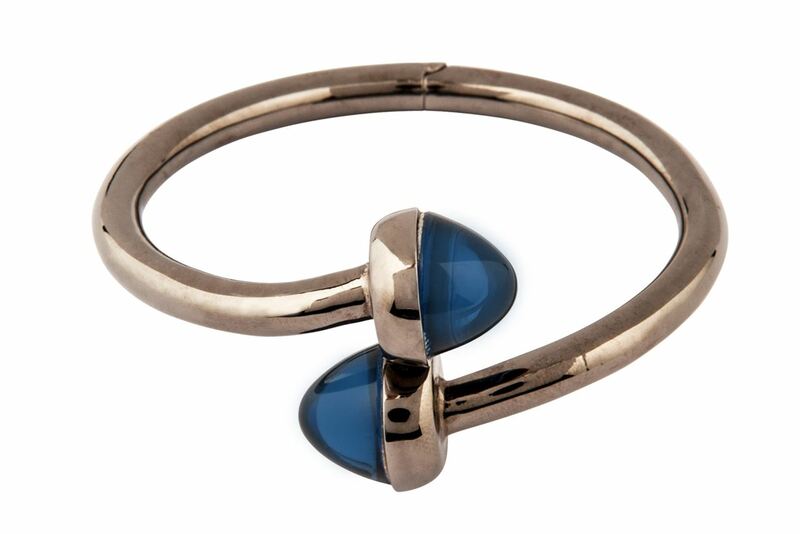 The Biltmore bangle makes a clean and classic statement. 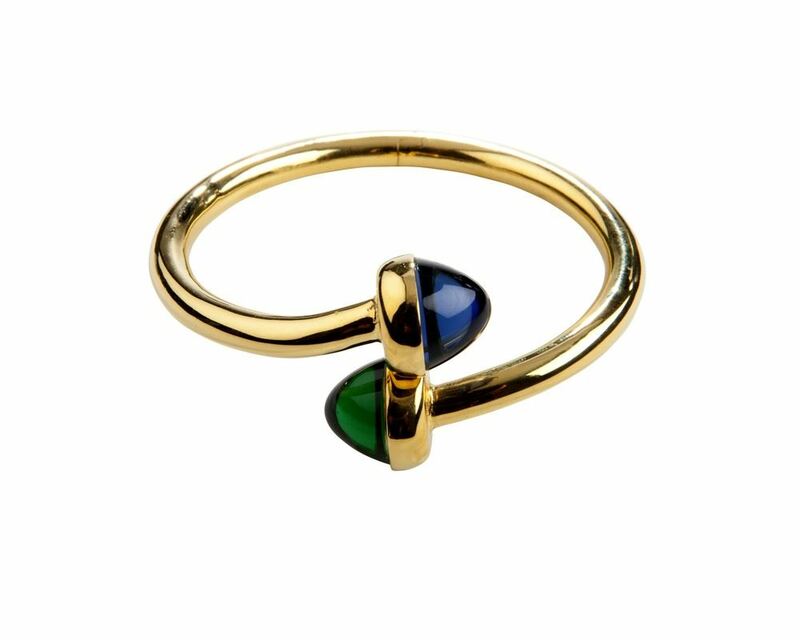 Featuring 2 bezel-set high dome emerald and sapphire cabochons, this Rhodium-plated hinged bangle is perfect alone or stacked with our Lucky bangle. The Biltmore bangle makes a clean and classic statement. 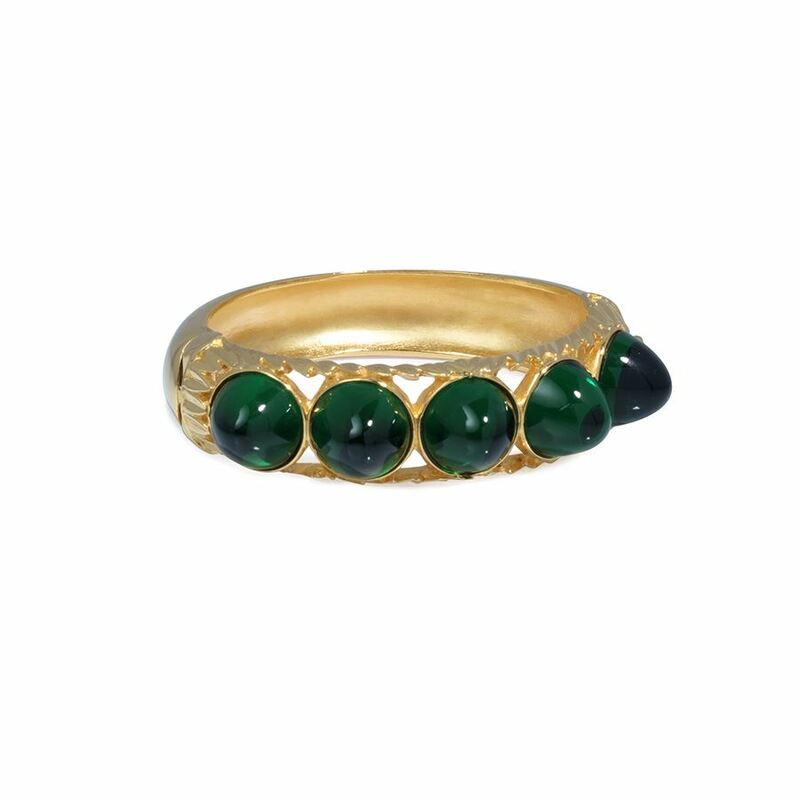 Featuring 2 bezel-set high dome emerald and sapphire cabochons, this 24KT gold-plated hinged bangle is perfect alone gold bracelet for women or stacked with our Lucky bangle. 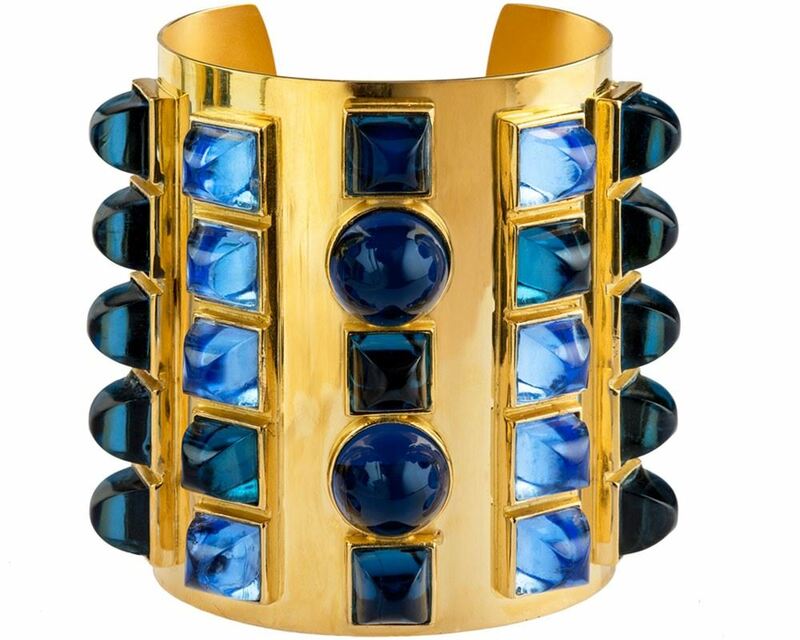 Encrusted with jewel-toned gems, the Biltmore Cuff is a luxurious and sophisticated gold bracelet for women. Featuring five rows of high dome bezel-set cabochons, wear this 24KT gold-plated tapered cuff to guarantee a grand entrance. 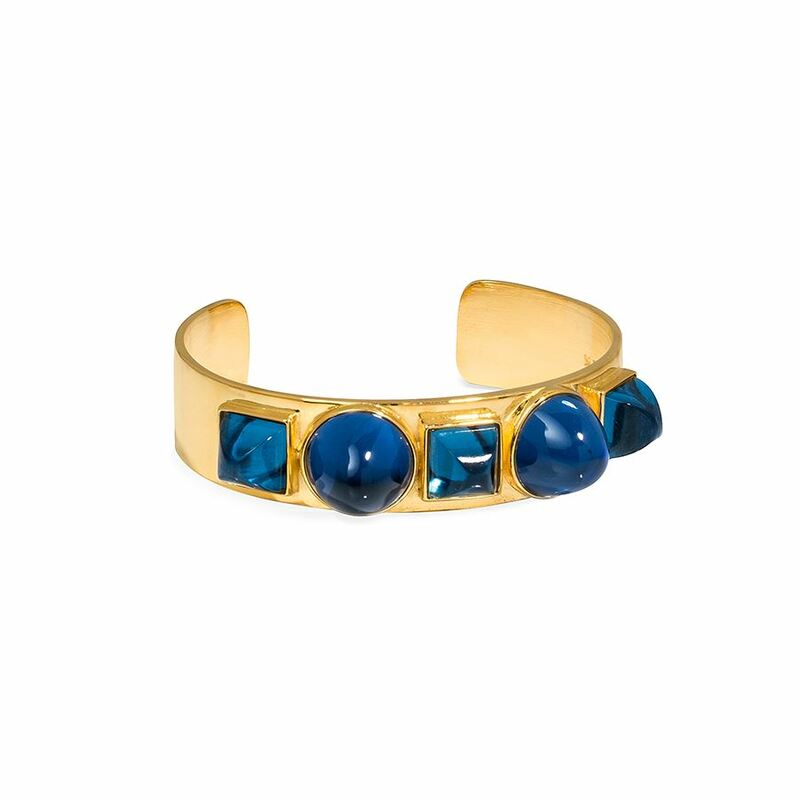 Encrusted with cool jewel-toned gems, the Biltmore Cuff is a luxurious and art deco inspired Multi Gem Bracelet for Women. Featuring five rows of high dome bezel-set cabochons, wear this 24KT gold-plated tapered cuff to guarantee a grand entrance. 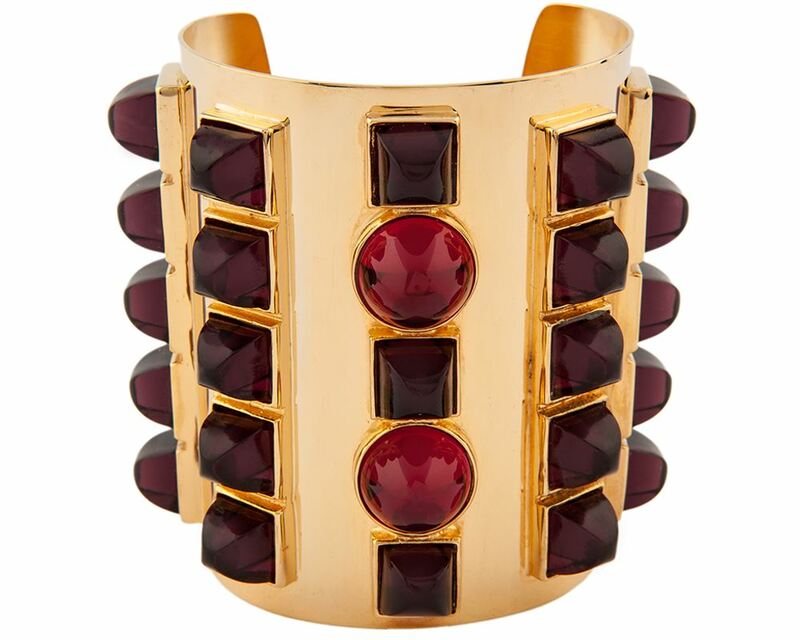 Encrusted with jewel-toned gems, the Biltmore Cuff makes a luxurious and sophisticated statement. Featuring five rows of high dome bezel-set cabochons, wear this 24KT gold-plated tapered cuff to guarantee a grand entrance. 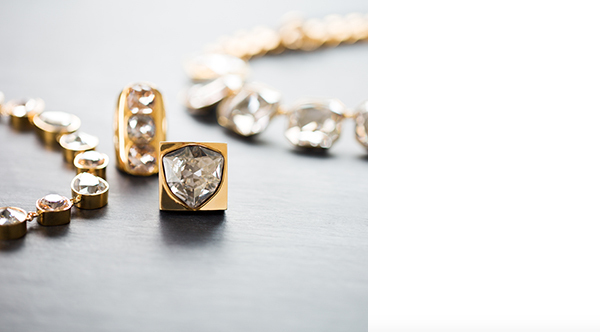 The Biltmore High/Low Cuff is encrusted with jewel-toned gems. 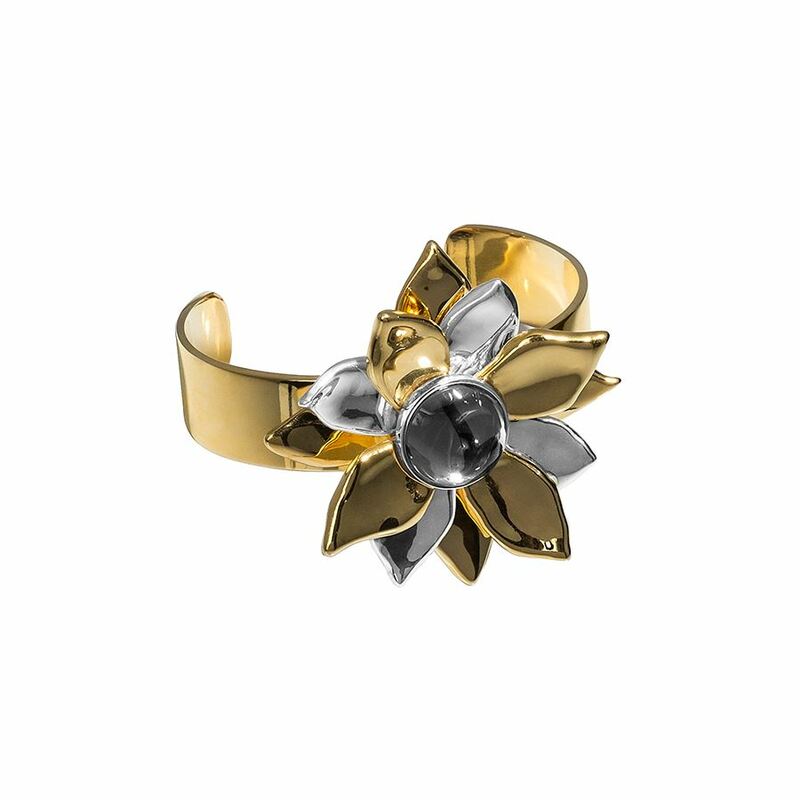 Bezel-set low and high dome cabochons add drama to a simply beautiful cuff.